Isn’t it funny how we country folk are so attuned to the passing of the plow? Our lifeline to the outer world! 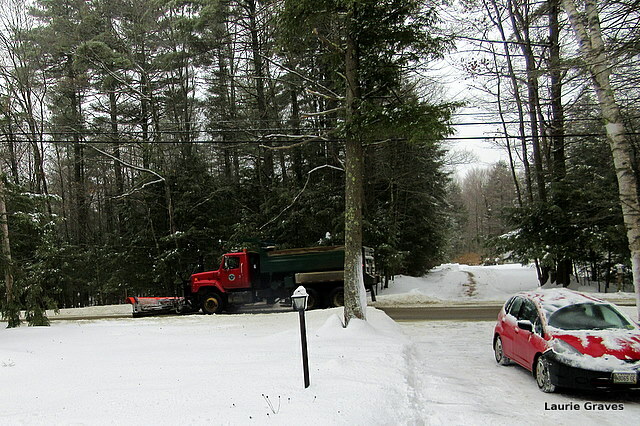 Yes, the sound of the plow going by always catches my attention. Our lifeline to the outer world, indeed. The plow passed our house at 3:30 in the morning and about 4:00 I heard it go back the other way. Told me it was time to start my day and that I better allow extra time for the commute. Your day certainly starts early, Beth!